2018 was the final year for the production of M2 and M3 Series Tier 3 Engine Truck Mounted Pavers in the U.S. and Canada. Please read the following message to fully understand your options for purchasing. Visit https://www.bergkampinc.com/news/2018-truck-mounted-paver-last-year to request more information. Need a smaller paver but don’t want to sacrifice quality and engineering? 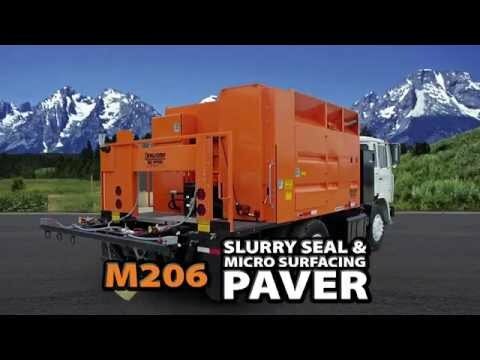 With proven design, convenient control locations, and great operator visibility, the M206 truck-mounted paver is your answer! The M206 units are powered by a 99 horsepower Cummins diesel engine located at the front in an enclosed engine compartment – reducing noise and vibration for the driver and crew. Tag axles can be added, including behind the drive axle, to better manage legal-load weight restrictions.